If you’ve spent any time on the internet and generally like animals, chances are you’ve spent many an hour on Wikipedia finding out random facts about a variety of critters. Now Google is making it even easier. 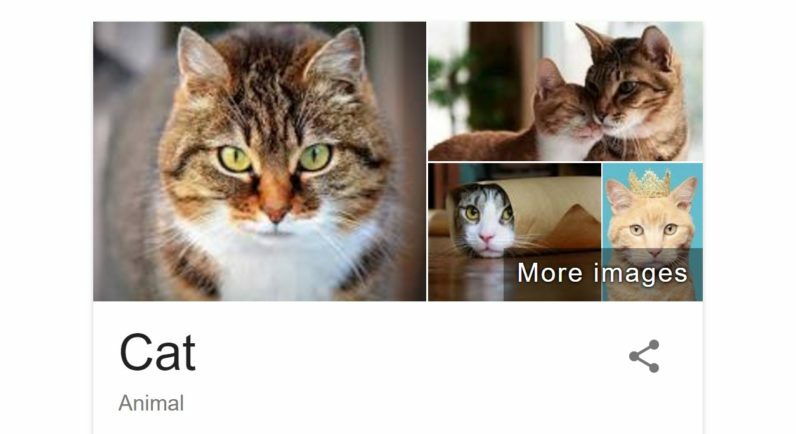 As spotted by Google Operating System, if you look up an animal, Google might show a random fact in the ‘did you know’ section of its knowledge graph cards. A lot of animals still seem to be missing – I couldn’t find out any fun facts about hedgehogs, such as how they can roll around at the speed of sound – but I did learn that cats can make about 100 different noises (remember Cat Facts? ), and that horses produce 10 gallons of saliva a day. Google is pulling the information for its knowledge graph from third parties, so the results will likely be fleshed out over time.